Stay Smart at the Holiday Inn Midland Hotel Conveniently located off Highway 10 and Eastman Road, our new, northern Midland, Michigan hotel in the Tri-Cities offers business and leisure guests an unforgettable experience. Stay your way at the Holiday Inn Midland hotel that has a fresh, contemporary look with enhanced amenities. From viewing art at the Midland Center for the Arts and watching a Great Lakes Loons' minor league baseball game in the 5,500-seat Dow Diamond stadium to hiking in the scenic, 40-acre Whiting Forest with picturesque sights of the region's beautiful flora and fauna, our Midland, Michigan hotel's guests find a wide variety of activities in the area. Sports enthusiasts can enjoy a game of tennis at the Midland Community Tennis Center or go ice-fishing on Saginaw Bay. In close proximity to IBM, Consumers Energy, Pilgrim Technology and both Dow Chemical and Dow Corning, our Holiday Inn Midland hotel offers corporate guests practical conveniences like no other hotel in Central Michigan. In addition to meeting rooms and a business center with a fax machine, printers, free high-speed, wireless Internet access is available. Whether you're visiting for business or pleasure, you will enjoy our high-quality facilities with a fun game room, an indoor/outdoor spa, pool and our fitness center with a treadmill, stair stepper and stationery bike. Call our Midland, Michigan hotel today! 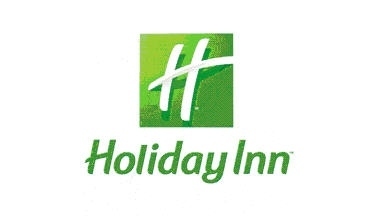 No reviews were found for Holiday Inn.